During the annual Spyderco meets in Amsterdam the Spyderco crew usually holds a few lotteries for knives, T-shirts etc. This year I was lucky to win a knife in one of the lotteries! And extra lucky because I won a Lil’Native with compression lock. I like compact knives! The knives I usually carry have a blade length of between 5cm (2″) and 7,5cm (3″). The Lil’Native fits right in there with its 6,2cm (2,5″) blade length. Also, I had not had a compression lock in years so this was a nice opportunity to play with one again. 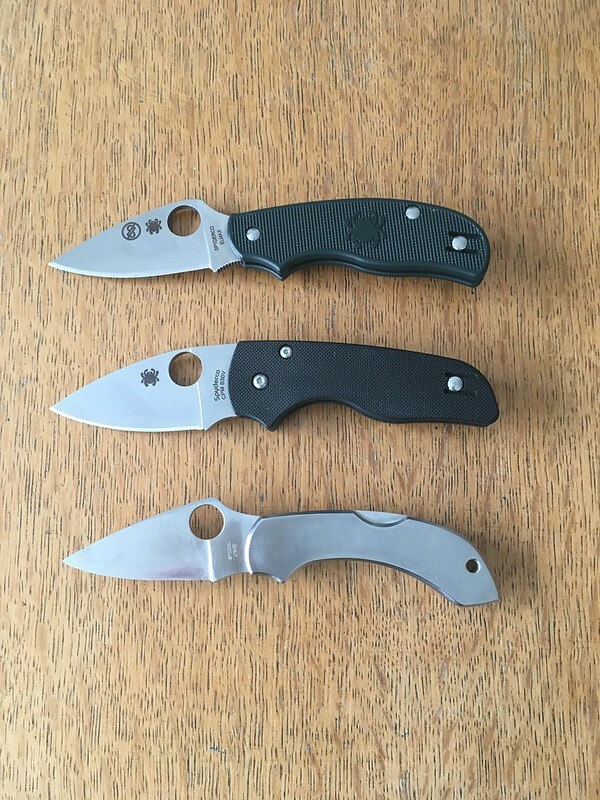 The Spyderco Native hans been around since the nineties in different sizes and shapes. There are two things all the Natives have in common: one, they are all hump-less. 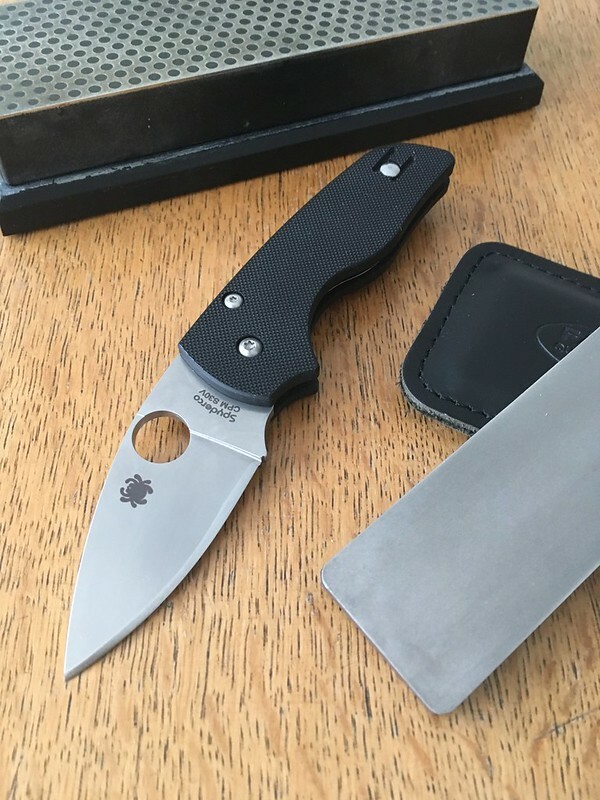 On a lot of Spyderco knives the opening hole is in a hump on the blade which sticks out above the back of the handle, on the Natives this is not the case. And two, they all have a relatively short edge in relation to the handle which features a forward finger choil. This means you can get a full grip on the handle and put your thumb on the back of the blade for control and power while cutting. The Lil’Native is the latest Native model as well as the smallest. Besides the version with the compression lock that I have there are plans for this same design with a mid-lock and as a slip joint. That last one will be a welcome addition to the Spyderco line-up for people in countries with more restrictive knife laws. After returning home from the Meet I put s little Nano oil on the pivot and on the detent ball and opened and closed the knife repeatedly to work the oil in and make it (even) smoother. I quickly got used to the compression lock and was pleasantly surprised by how easy it was to manipulate and that it did not pinch me. 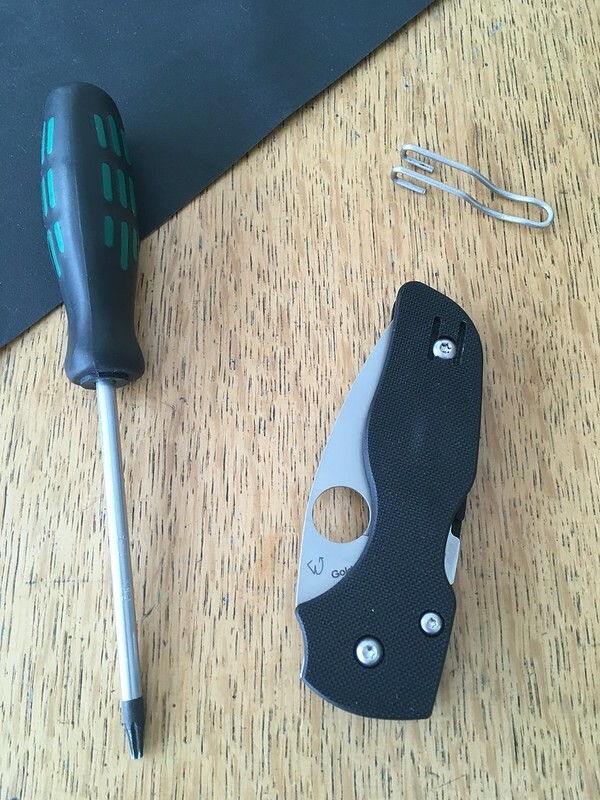 This had been something I had experienced with early compression locks knives but clearly Spyderco’s engineers had improved the lock since then. CQI (constant quality improvement) in action! Spyderco had done an excellent job with the factory sharpening. It easily push cut receipt paper! After a light sanding of the handle to make it smoother and little bending of the clip so it would go in and out of the pocket easier, it was ready for edc. After a few day I decided to thin the edge a little and sharpen it. Not that the factory edge needed it, but I knew I could get is sharper and improve the cutting ability even more by taking it to the hone. Beside, it feels like putting your edge on a blade makes it more your own. I thinned out and straightened the edge with my old extra coarse DMT bench hone. I refined and finished it on the diamond side of my Fallkniven DC4 until it could split a free standing head heir. This went of without any drama. The diamond hones cut the steel easily, and removing the burr represented no challenge. 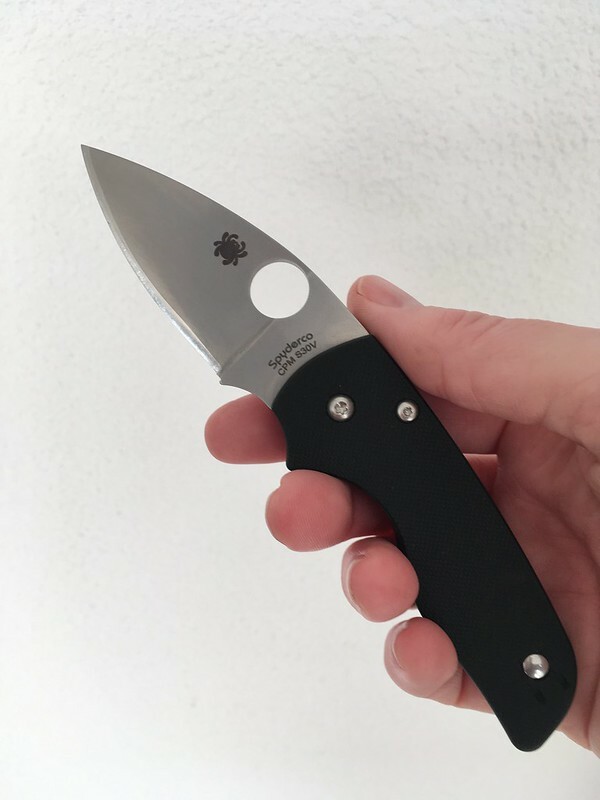 This suggest to me that the edge was not damaged during production or factory sharpening and that it was in good condition.. Well done Spyderco! Back in the pocked it went! After having carried it for another week the Lil’Native had become smoother, I could flick it open with my thumb and with my middle finger. I cut a number of cardboard boxes and this caused a little bit of edge roll in front of the ricasso. Two light strokes per side on the Fallkniven DC4 got rid of it and made the blade sharp again. All in all the Lil’Native has turned out to be a well made, practical, capable, and enjoyable compact folder. 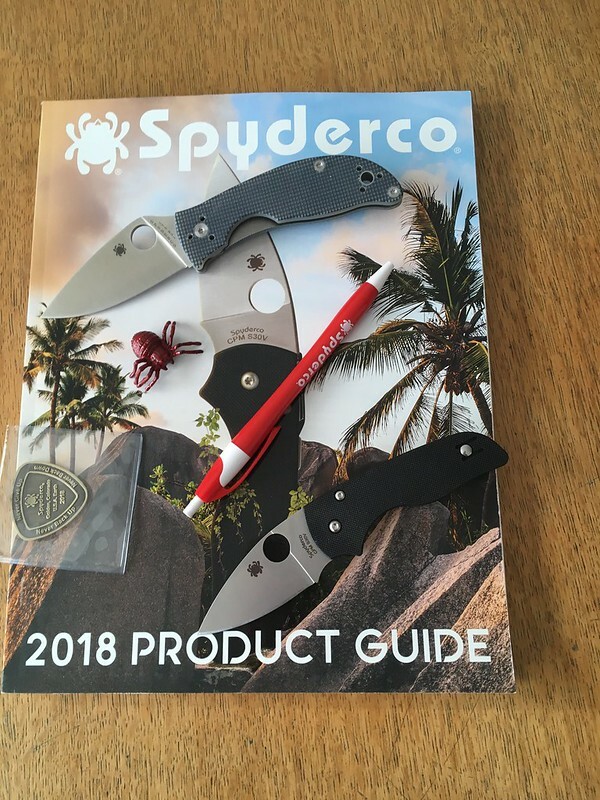 Well done Spyderco! Nice brief review, however, you could use a proof reader. You made a few spelling and word choice errors, like “thump” instead of “thumb”. Those detract from the otherwise good quality of your writing. Thank you Michael for the advice. Thanks! I changed the thumbs. 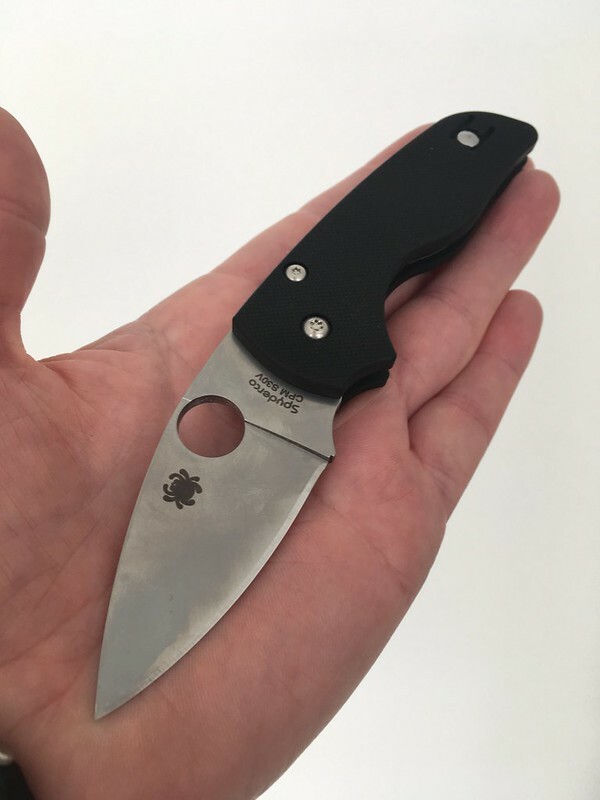 Previous Previous post: BFTP Fred Perrin Spyderco’s Native Review.